Three new number ones this week for our Triple Shot! Ming Doyle teams up with James Tynion IV for the DCYou take on Constantine: The Hellblazer, Liz Prince (Tomboy) and artist Evan Palmer (Munchkin) step into the world of Cartoon Network’s newest creation, Clarence and we preview next month’s Negative Space #1 from Ryan K Lindsay. and James Tynion IV (Talon, Batman Eternal) relaunch Constantine for the #DCYou. 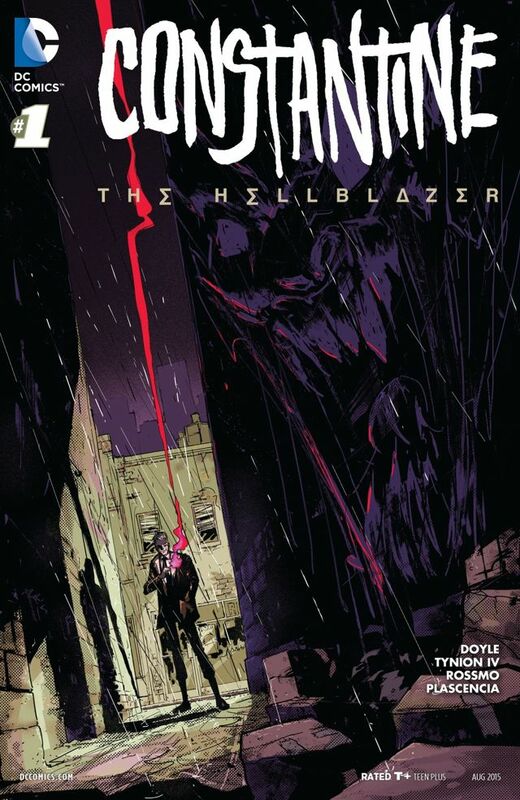 and riding the recent wave of comic book television with 2014’s Constantine (RIP). Peter Milligan, Andy Diggle and many more. audience for Constantine as well as bridge the gap with older readers. This being a DC Comic and not Vertigo hurts the book in my opinion. John Constantine should be able to swear and be raunchy. Issue #1 isn’t a bad go at the old guy, though. and his first ‘mission’ against some demons. landscape splash page cutaway view of the club and by the end of the book gets to draw some cool looking demons. pandering to any fans of any Hellblazer incarnations — that could be a blessing or a curse once the story develops more.